Alabama is a terrific destination for people wanting to hunt deer, waterfowl, and small size game. Alabama deer hunting and Alabama duck hunting takes place in a huge variety of terrains ranging from swamps and thick wooded areas, to the upper states rolling hill regions. For anyone wanting to deer or duck hunt, Alabama law needs you to have a valid hunting license. 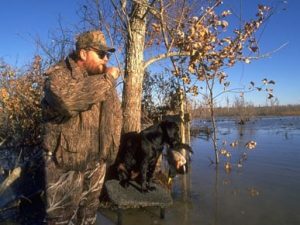 For hunters looking for Alabama duck hunting information, there is the Alabama state website and many other sites that have duck hunting available to the public. Another knowledgeable information site that also contains general information for fishing and hunting is Outdoor Alabama. You can apply for your hunting license online there. For hunters that want to experience Alabama duck hunting, the available information states there are some excellent waterfowl hunting from the Tennessee River valley through North Alabama. Many hunters believe that the weather is the influencing factor on whether you have a successful or unsuccessful duck hunt. The better the weather, the fewer wildfowl and the worse the weather, the more ducks there are to hunt. If the weather is terrible for a long length of time, the duck hunting is normally great. They claim that storms from the north bringing cold weather and hard winds mean it is time to get out all your duck hunting gear, while a southern warm front moving into the area means terrible duck hunting. Alabama Game and Fish has Alabama duck hunting information available. The Alabama duck hunting information states that the environment along the Tennessee River is ideal for ducks because of the agricultural crops and mil-foil produced there. There is an abundance of water and food, along with good backwater areas, and the river provides ducks with an ideal habitat. Unfortunately, they have to rely upon bad or severe weather from the north to push the waterfowl to Alabama. Some of the waterfowl that show up include coots, scaups, and mallards. The Alabama duck hunting references also show that the Wheeler National Wildlife Refuge, which is located near Decatur, Alabama, close to the Tennessee River, is a migrating and wintering habitat for ducks, geese, and other birds. Each winter, up to 60,000 ducks migrate there and spend the season dodging hunters and feeding on crops. From the Alabama duck hunting information available, they allow no shooting in Wheeler National Wildlife Refuge but they hunt the sections around it heavily. Duck hunters will find that just across from Wheeler National Wildlife Refuge is Swan Creek WMA, which is one of the premier public property waterfowl and duck hunting tracks. This is a great hunting area in Alabama. Which just shows there’s plenty of duck hunting information available.